Marvel Studios and Sony Pictures‘ Spider-Man: Homecoming has leaped out of the gate with an impressive $50.5 million opening on Friday, including $15.4 million from Thursday previews. 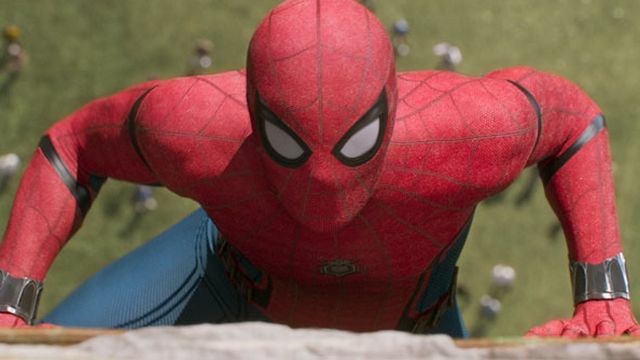 The film is on track to become Sony’s second-highest opening of all time and the second-highest opening for a Spider-Man film, after Spider-Man 3. The wallcrawler’s return to the Marvel Cinematic Universe is set to take in $119 – $121 million this weekend and has already nabbed an A CinemaScore from audiences. Directed by Jon Watts, Spider-Man: Homecoming stars Tom Holland, Michael Keaton, Zendaya, Donald Glover, Jacob Batalon, Laura Harrier, Tony Revolori, Tyne Daly, Bokeem Woodbine, with Marisa Tomei and Robert Downey Jr.
You can read our Spider-Man: Homecoming reviews here and here. You can view all our previous Spider-Man: Homecoming coverage by clicking here. A young Peter Parker / Spider-Man (Tom Holland), who made his sensational debut in Captain America: Civil War, begins to navigate his newfound identity as the web-slinging super hero in Spider-Man: Homecoming. Thrilled by his experience with the Avengers, Peter returns home, where he lives with his Aunt May (Marisa Tomei), under the watchful eye of his new mentor Tony Stark (Robert Downey, Jr.). Peter tries to fall back into his normal daily routine – distracted by thoughts of proving himself to be more than just your friendly neighborhood Spider-Man – but when the Vulture (Keaton) emerges as a new villain, everything that Peter holds most important will be threatened. Spider-Man: Homecoming was written by Jonathan Goldstein & John Francis Daley, Jon Watts & Christopher Ford, and Chris McKenna & Erik Sommers. The film is produced by Kevin Feige and Amy Pascal, and executive produced by Louis D’Esposito, Victoria Alonso, Patricia Whitcher, Jeremy Latcham, and Stan Lee.